Playing the same Saint Louis team that defeated it four days earlier in its regular season finale, the Massachusetts men’s soccer team once again fell short against the Billikens, 2-0, in the first round of the Atlantic 10 playoffs on Thursday. 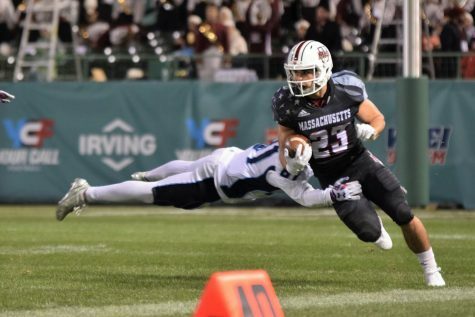 The loss marked the end of UMass’ season, which turned out to be a roller coaster ride. 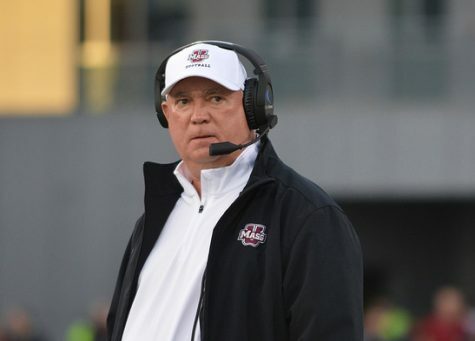 The Minutemen (4-14-1, 3-6 A-10), after starting the season 0-8-1, looked as if they were in prime position to make the conference playoffs with two games remaining on the schedule. 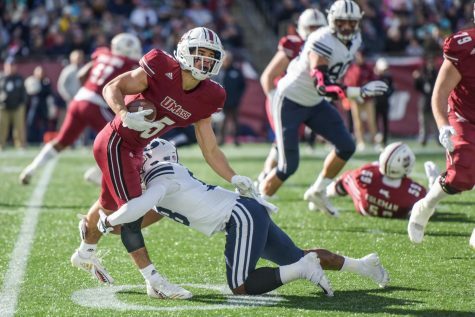 However, after losing to Dayton and Saint Louis to conclude regular season play, UMass was suddenly left relying on outside help to qualify for the playoffs. 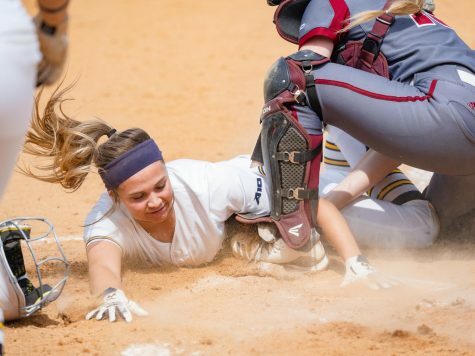 The Minutemen got the help it needed and backed into the eighth and final seed, where they were lined up to play the No. 21 Billikens (13-4-2, 7-0-2 A-10), the conference’s No. 1 seed. 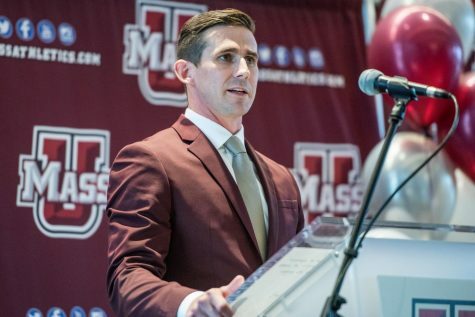 Following a 2-1 loss to Saint Louis on Sunday, UMass coach Sam Koch said that the team headed into Thursday’s game with a different game plan. 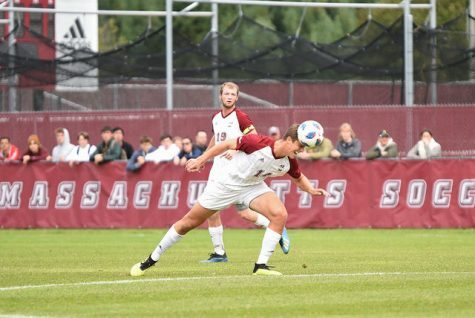 The Minutemen kept pace with the Billikens early on and the first half ended in a scoreless tie. 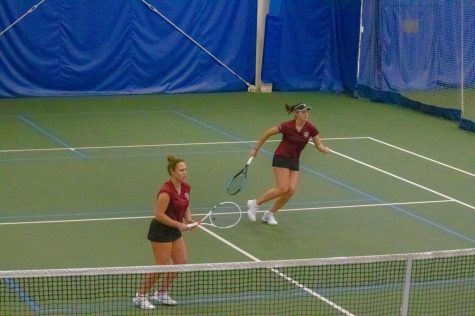 Both defenses played solid, as UMass was only mustered one shot on goal while Saint Louis recorded two shots on goal. However, the Billikens quickly established the lead in the second half. Alex Sweetin set up a free kick from 20 yards out that defenseman Julian Gieseke headed past Minutemen goalkeeper Nick Ruiz for the first goal of the game in the 47th minute. Two minutes later, Saint Louis added to their lead with a header by Robert Kristo, assisted by Sweetin and David Graydon. Koch said that a halftime strategy change may have led to allowing the two goals. 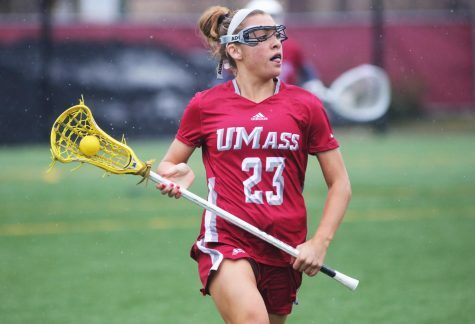 Despite allowing two goals, Ruiz had a solid game overall in the net for UMass, recording seven saves in the loss. 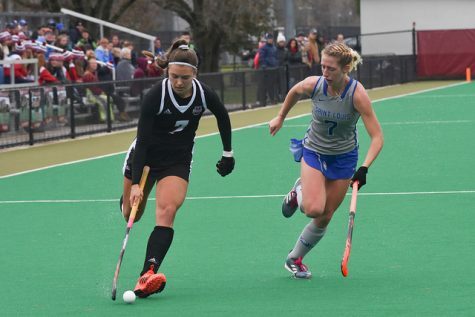 Facing a two-goal deficit, UMass constantly attempted to attack Saint Louis’s defense in the second half, but to no avail. In total, Billikens goalkeeper Nick Shackelford only had to face two shots on goal from the Minutemen as the senior picked up his eighth shutout victory of the season.